Your perfect night in the West End will start with your automatic table reservation at Steak and Lobster Bloomsbury. Enjoy a deliciously luxurious meal conveniently located less than 10 minutes walk from the Cambridge Theatre where later that evening you will be fully transported into the darkly captivating world of Roald Dahl’s Matilda. This much-loved story from our childhoods comes to life on the West End stage. Allow yourself to be transported into this world by some of your favourite characters Matilda, Miss Honey and Miss Trunchbull to name a few. This award-winning musical is sure to delight audiences of all ages. 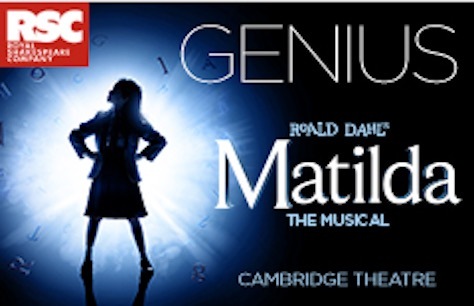 Dinner & Show tickets for Matilda the Musical are here! Book now to ensure your seats to this tremendous musical! Captioned Performances: 1st July 2018 at 3pm plus 24th November 2018 at 2.30pm. Audio Described Performances: 10th June 2018 at 3pm, 30th June 2018 at 2.30pm and 25th November 2018 at 3pm. The dinner before the show was great. I had lobster with unlimited fries and salad! That was so lovely and the staff were incredible. Thank you Steak and Lobster. The show was spectacular. I highly recommend it to everyone regardless of their age.